Each year Ephphatha hosts a Mission Festival in Frankenmuth for the deaf community. The festival consists of outside worship at the St Lorenz, Frankenmuth Church Grove, followed by a BBQ Lunch. After lunch there is a special presentation. This is a great opportunity which provides resources and community-building for those working with the Deaf. 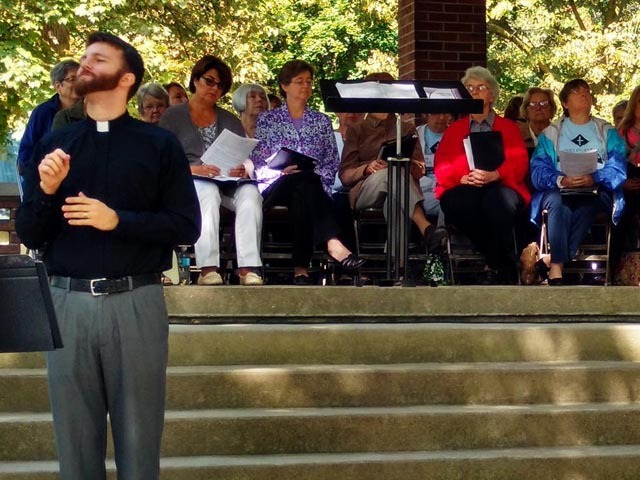 The festival includes an outside interpreted worship at the St Lorenz, Frankenmuth Church Grove, followed by a BBQ lunch and special deaf presentation.